Personally, I like to be supplement-free and keep my diet as natural and clean as possible. So when it comes to needing a pre-workout energy boost, I enjoy a few tasty treats to get my energy level boosted, naturally. Besides being deliciously satisfying for anyone who loves sweets & peanut butter, this snack is one of my favorites! Carbohydrates are your body’s main source of energy, and bananas are nutrient-packed carbs! (Yes, fruits are carbs!) 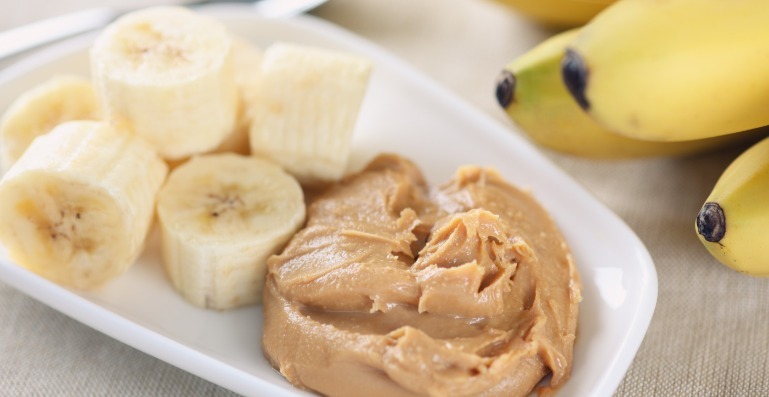 Slice up half a banana with a tablespoon of peanut butter and enjoy it 30-40 minutes before your workout. I bring this to the gym with me! I fill up my Teami Tumbler and take this with me throughout the day, and refill as needed. Throw a few pieces of your favorite fruit and/or herbs in it for some extra flavor, and the fruit is your naturally sweetened energy boost. Awesome pre OR post workout snack option! 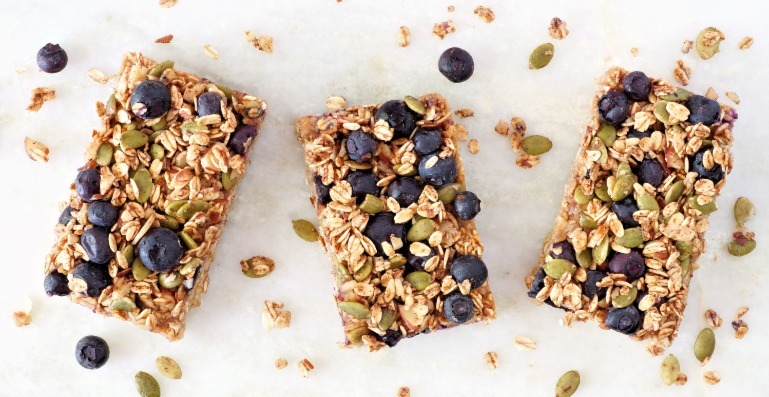 Although I prefer homemade granola (less fat, you know the ingredients and less sugar), granola and trail mix are made up of carbohydrates, fats and protein which is ALL nutrient-based calories. Most granolas and trail mixes have a little sugar or honey in them, giving you the “satisfied” feeling for “sweet treat indulgence” but also supply the body with the energy it needs to perform at its best. Both of these options have endless varieties, whether you buy them pre-made or make your own. Just be cautious about store-bought trail mixes, because a lot of them contain extra sugar (candy) or salt, which I try to avoid in my diet. Make sure you FUEL YOUR BODY, giving it the proper nutrients to get you through your workout. If your body isn’t fueled properly, it won’t perform at its best, and can leave you feeling fatigued, tired quickly or lead to a possible injury. You want your body to have enough NUTRIENT-BASED calories to let you power through your workout, so make sure you eat BEFORE you workout, (at least 30 minutes before so you can allow the nutrients to digest) and AFTER your workout… Your body will thank you later!